Hy-Lite Celebrates "Shameless Promotion Month"
September is "Shameless Promotion Month" so we're jumping on board to let you know our decorative glass, acrylic block and true glass block windows are your best options for adding style and privacy to your home! We take seriously our offering of "Your Home. Your Style." and offer a wide range of products to meet your needs. 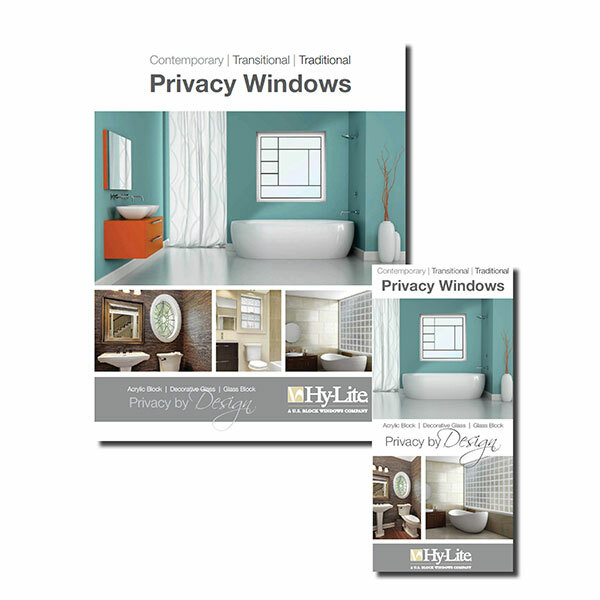 Check out our new literature and you'll find a Decorative Glass Windows section covering Hy-Lite's eclectic new Home Designer CollectionTM, the Bath-Lite® Series, fixed windows, architectural shapes and awning and casement windows. The Acrylic Block Windows section of the literature focuses on popular acrylic blocks used in the our fixed and operable windows, shower walls and wall partitions, door inserts and interior shutters. A special area is dedicated to commercial use of acrylic block products. And, the final section of the literature looks at True Glass Block Windows. We've got what you need to help create beautiful and private settings in your home!